In a nutshell, most of the the “top” players won but we still lost some on the way: Gary Wilson, Sam Craigie, Cao Yupeng, Mark King, Fergal O’Brien, Mark Joyce and Anthony Hamilton although the latter has been suffering from back and neck injuries for a while so his defeat comes as no real surprise. Someone who got beaten but played really well is Jamie Cope, a former pro, but currently an amateur. I hope that he can get back on the tour. He’s better than a lot of players who are on it actually. 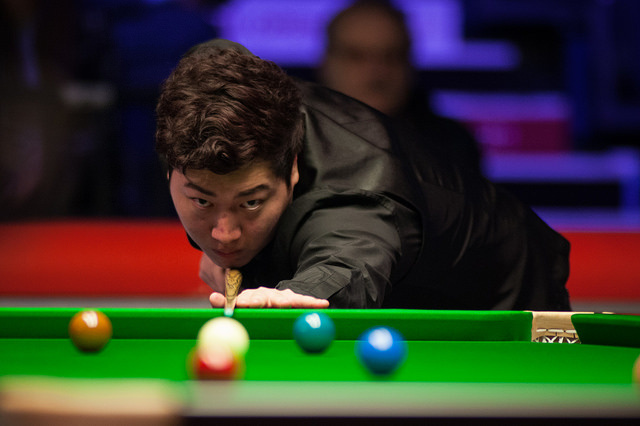 Yan Bingtao came through an enthralling battle between two of snooker’s brightest prospects, as he defeated Welsh teenager Jackson Page 10-7 to progress at Betfred World Championship Qualifying in Sheffield. The 18-year-old from China is slightly further along his career path than Page, having already picked up silverware when he lifted the World Cup alongside Zhou Yuelong for China. He has also appeared in a ranking final at the Northern Ireland Open, where he narrowly lost 9-8 to Mark Williams, and has spent two seasons as a professional. 16-year-old Page has predominantly showcased his considerable talent at his home tournament, the Welsh Open. The teenage sensation, who practises with Mark Williams, has won three matches over the last two years at the Cardiff event. He is also a former World Under-18 champion and the reigning European Under-18 champion. The young Welsh star showed his battling qualities today. He trailed Yan 6-1, but hit back to restore parity at 6-6. From there the extra experience garnered by Yan came to the fore. He eventually progressed in the 17th frame on the final pink and will face compatriot Tian Pengfei in the next round. 1997 World Champion Ken Doherty kept his hopes of reaching the Crucible alive with a hard fought 10-8 win over compatriot Josh Boileau. Doherty was never behind in the tie and had led 5-1 at one stage. However, 22-year-old Boileau stuck to the task and fought his way back into the match, eventually pulling within one at 9-8. Boileau had led the 19th frame 50-0, but a fine counter-clearance of 71 from the Darling of Dublin helped him to get over the line. 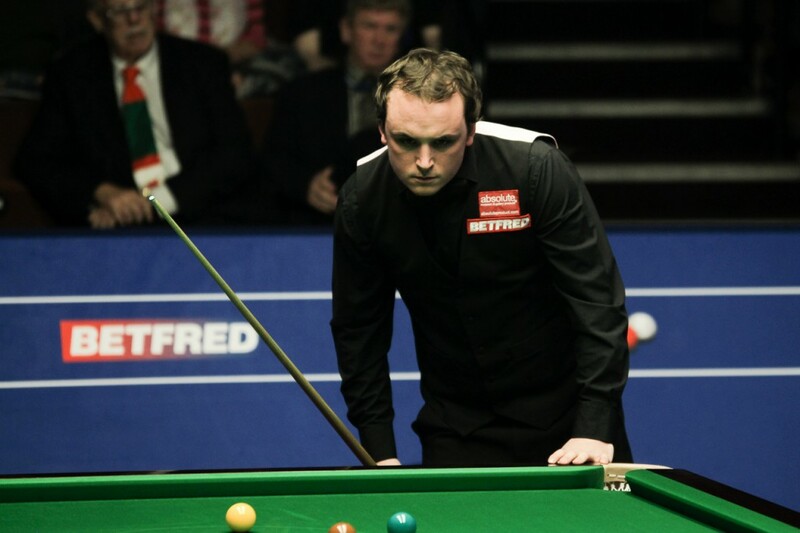 Afterwards the 48-year-old Doherty admitted that if he were to qualify for the Crucible, it may be the finale to his storied career. Doherty’s opponent in the second round will be Gerard Greene. The world number 90 produced a superb late night win over Mark King, coming through in a deciding frame 10-9. Adam Stefanow recorded shock 10-8 win over world number 39 Gary Wilson and is a step closer to becoming Poland’s first Crucible participant. Stefanow took the decision to hang up his cue a couple of months ago. He has now moved back to Poland from Sheffield. He had based himself in the Steel City for his snooker career, which he carried out in conjunction with a part-time restaurant job. Stefanow gained his place for this week thanks to a run to the final of the recent WSF Championship and as things stand, this will be his last tournament. “I think a bit of pressure came off for me. I just wanted to improve so quickly and now I have started to enjoy the game,” said the 24-year-old. “At the moment this is my last professional event. I didn’t enter Q School. “I think it would be absolutely mental in Poland if I could qualify. I have a big support in my country. I am over the moon to win that match. Alfie Burden kept his hopes of tour survival alive with a 10-6 defeat of Jamie Curtis-Barrett. That victory leaves him in position to regain his card via the one-year list. Defeat for Curtis-Barrett means he will lose his tour card. Two-time Crucible finalist Matthew Stevens saw off Australia’s Ryan Thomerson 10-5. While Chinese youngster Yuan Sijun defeated Fergal O’Brien 10-5. Hossein Vafaei produced a crucial four frame burst to come from behind and beat Jamie Cope 10-8 in Betfred World Championship Qualifying at the English Institute of Sport in Sheffield. The Iranian came within two frames of becoming the first player from his country to grace the Crucible baize last year. He was defeated 10-8 by Tom Ford in the final round of qualifying. Vafaei has already become Iran’s first professional player and made an impact on his debut season in 2016/17, reaching the semi-finals of the China Open and beating Judd Trump on the way. 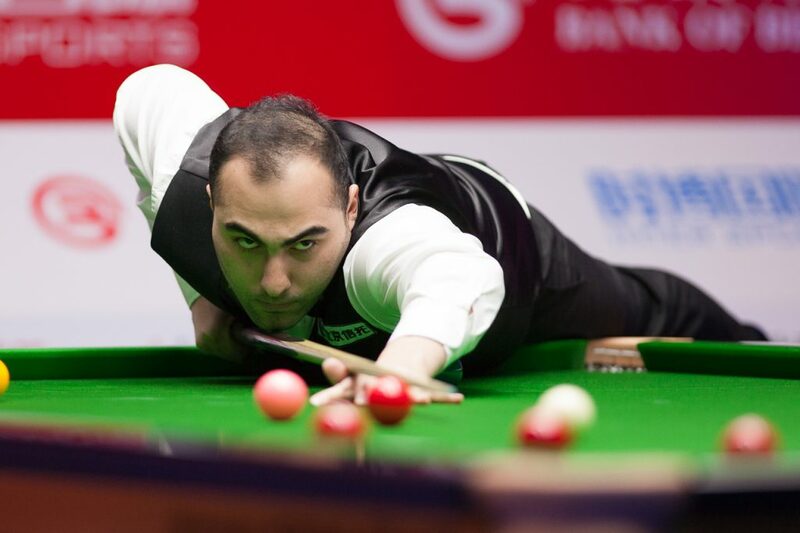 The 23-year-old has now been joined by compatriot Soheil Vahedi, who is the World Snooker Tour’s second Iranian player. Two-time ranking event finalist Cope, who is now playing as an amateur, never trailed until he fell 9-8 behind. However, he will return to the English Institute of Sport later this week to compete for a tourcard at the EBSA Playoffs. He can take solace going into that from a strong performance, which saw him top score with 141. Vafaei claimed victory by surging to the line from 8-6 down, compiling consecutive breaks of 66, 118, 58 and 41. He will face Thailand’s Noppon Saengkham next, who thrashed Chen Zifan 10-1. Sam Baird maintained his hopes of tour survival by securing a fine 10-5 win over Vafaei’s fellow Iranian Vahedi. 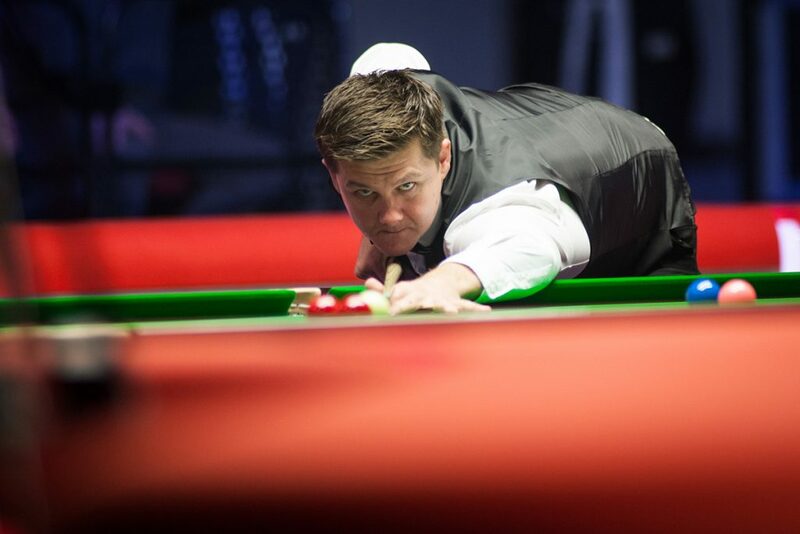 Baird, who qualified for the Crucible in 2016, needs to progress at least beyond the next round to stand a chance of keeping his professional status. Baird said: “I was a bit nervous to get over the line and there is a lot riding on this week. It is going to be nerve wracking in the upcoming games, but I managed to play well. His opponent in the next round will be Jimmy Robertson, who was first to progress this afternoon thanks to a crushing 10-2 defeat of Malta’s Alex Borg. Tom Ford continued his good form with a 10-2 defeat of Leo Fernandez. 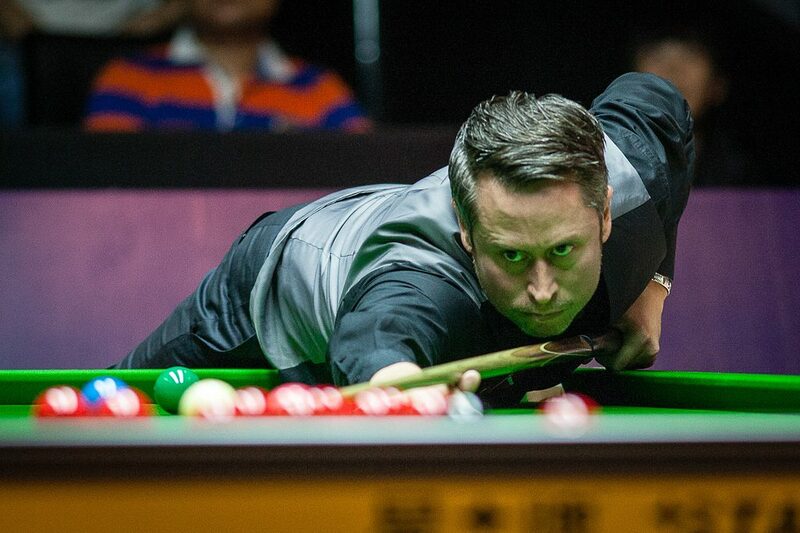 Ford recently reached the quarter-finals of the lucrative China Open and came through World Championship qualifying at Ponds Forge last year. Ryan Day produced an impressive performance to defeat Brazil’s Igor Figueiredo 10-2 and progress to second round of Betfred World Championship Qualifying in Sheffield. 38-year-old Day summoned a tremendous blitz at the end of the first session, which realistically ended Figueiredo’s hopes of a shock victory. Day compiled breaks of 64, 66, 70, 90, 107 and 51 in consecutive frames to record an 8-1 scoreline. He got himself over the line this evening with a century run of 100. The Welshman has enjoyed the best campaign of his career this term. He won his maiden ranking title in the very first event at the Riga Masters and he sensationally claimed back-to-back titles at the Gibraltar Open and the European Masters last month. However, Day failed to qualify for the lucrative China Open and that ultimately allowed Masters champion Mark Allen to pip him to the 16th and final automatic place at the Crucible. He now hopes that he can come through qualifying and secure his place in the main stages to cash in on his fine form. “I’d like to have a crack at the Crucible again this year,” said the world number 17. “It’s been a breakthrough season if you like, 19 years after I started on the tour! I’ve had a good season, but it would be disappointing not to get through to the Crucible. World number 18 Stephen Maguire saw off a strong challenge from Allan Taylor to come through 10-5. The Scot led by just one frame at 5-4 after the first session. However, he pulled away this evening to book his place in the second round. 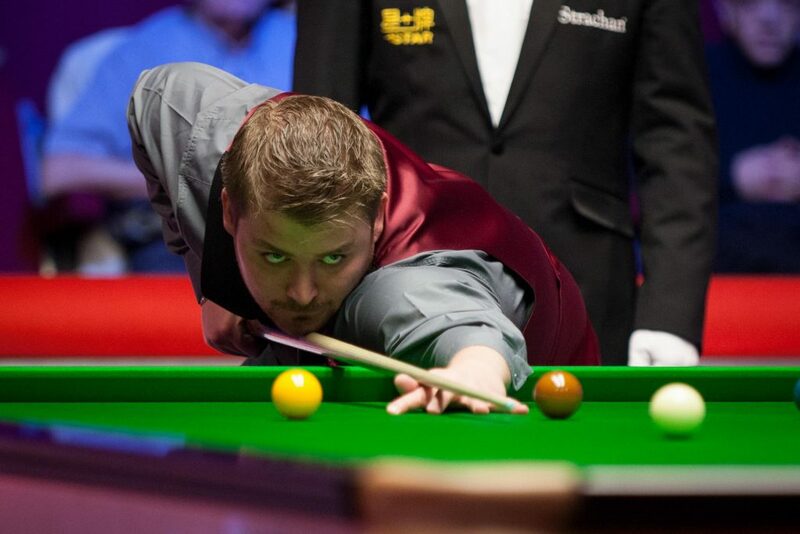 Paul Hunter Classic champion Michael White avoided a shock defeat against world number 107 Niu Zhuang, emerging a 10-9 winner. White was never ahead until the very last frame, where he forced himself over the line to secure his place in the second round. Oliver Lines secured a huge win in his bid for tour survival. He defeated European Amateur Champion Harvey Chandler 10-6 to edge towards maintaining his professional status. David Grace was another to move towards remaining on tour. He came through a massive match with Wang Yuchen 10-6, which saw the Chinese player relegated from the tour.